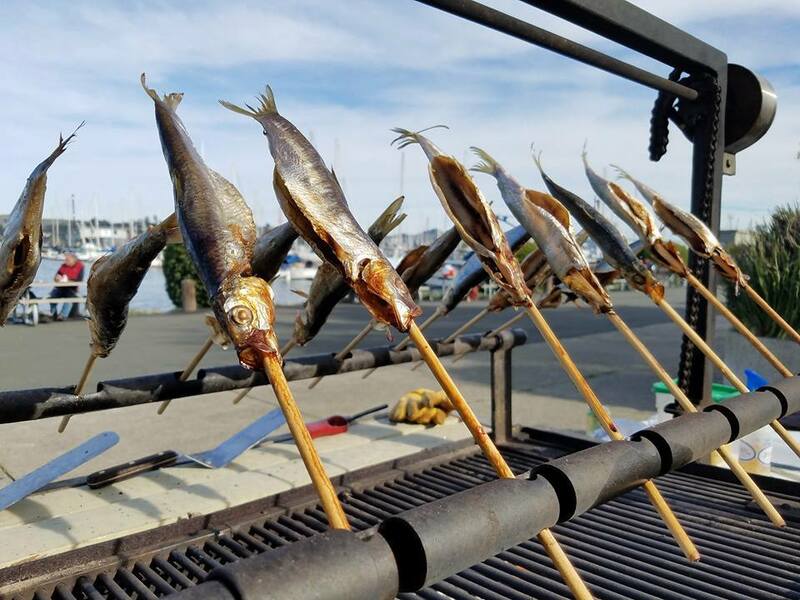 The Annual Sausalito Community Boating Center Herring Festival will feature lively music by the sea shanty quartet The Fishwives and a herring inspired lunch prepared by some of Sausalito’s finest restaurateurs. The Sunday, January 27 event, at the Bay Model, will also present two showings of the film “Blue Serengeti,” about white sharks off our coast. Doors open at 10:30, with the first showing at 11:00 a.m., herring lunch at 1:00 p.m., and a second screening at 2:30 p.m.
Tickets are $40 per person. All proceeds support SCBC at Cass Gidley Marina, currently starting construction alongside Dunphy Park. SCBC’s mission is to provide affordable access to Sausalito’s waterfront, to educate the public about our rich maritime history and preserve our small craft heritage.